Well I probably sound like a 1Password fanboy and ... upon reflection ... I realize that I am. Tonight I booted up my favorite password, secure data, kitchen sink application to find out there is another update. This is no small update either. The list of new and repaired features is thorough. When I met 1Password developer Dave Taere, we just immediately clicked. He is passionate about making 1Password the best application possible and he is delivering. Enough of my rambling though. Upgrade your 1Password and check out this feature list. NEW Replaced Setup Assistant with Welcome screen in the main 1Password application. NEW New Generic Text Importer allows importing of any data from a comma separated text file. 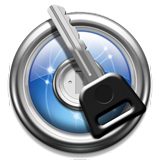 NEW Added Cmd-0 shortcut to open main 1Password window. NEW Added option to export only selected items to 1Password Interchange File. NEW Added password strength indicator to Strong Password Generator window. NEW Added shortcut menu button in 1Password Import Assistant. NEW Added password strength information to Web Forms. NEW Added Display scope (Always, Web Pages, HTTP Auth, Never) to Web Forms. Allows you to prevent specific forms from ever appearing in the Restore Form list. NEW Added Australian and Swiss bank account information to Wallet. NEW Redesigned Sync to my1Password window. NEW New Sync with my1Password implementation that allows data synchronization across multiple Macs. CHANGED Improved diagnostics to detect non root:admin file ownership in Leopard InputManager folder. CHANGED Updated Safari restore instructions when its code signature was modified. CHANGED Improved import of comments from KeePassX. CHANGED Updated diagnostics to point to the correct Rosetta Knowledge Base article. CHANGED Added support for user-editable fields in generic import. CHANGED Added support for quoted and multi-line fields in generic text import. CHANGED Now retaining previous column type selection when changing generic text import options. CHANGED Fixed Autosave in Firefox 3. Should now correctly observe form submit and prompt user with the Autosave dialog window. CHANGED Export to Palm and Treo can now be used during the trial period without adding the Palm license. CHANGED Added check for Rosetta settings when Safari fails to decrypt the keychain entry. CHANGED Improved credit card fill on German websites. CHANGED Added 512x512 1Password icon for better Leopard support. CHANGED Renamed plain-text backup to 1Password Interchange File. CHANGED Added [I have a license] button to the Registration Required screen. CHANGED Removed keyboard shortcuts from the context menu as per Apple guidelines. CHANGED Made sure Rename and Delete folder menu items are disabled for special folders. CHANGED Simplified backup filename generation to avoid intermittent backup errors. CHANGED Improved Passwords Plus importer to ignore invalid CSV lines. FIXED Made sure all Wallet items are displayed in iPhone bookmarklet. FIXED Fixed bug with back button in Firefox 2. Back button was disabled for first navigation of windows other than initial. FIXED Made sure column widths are saved and restored correctly when switching the sections and folders and restarting 1Password application. FIXED Fixed a problem with 1Password.app being copied as 1Passwd.app into Applications folder when the program was launched from the disk image. FIXED Fixed problem with Sync to my1Password by encoding special characters as Unicode. FIXED Fixed import from KeePassX. FIXED Fixed problem with images being resized incorrectly in Import Assistant. FIXED Fixed problem with Delete Folder via shortcut menu not working in Mac OS X 10.4. FIXED Fixed problem with Go-n-fill link not working in the object list view. FIXED Fixed possible infinite loop in the Strong Password Generator window. FIXED Fixed crash in Strong Password Generator. FIXED Fixed import from Passwords Plus when the file was exported from Mac version. FIXED Corrected 1Passwd spelling in Security Warning.